We see here a positive "explosion" of our Church. We see a special interest in the UGCC in Central and Eastern Ukraine. However, we lack the priests to answer the needs of people there. This was reported by the Father and Head of the UGCC His Beatitude Sviatoslav in an interview to the Polish Catholic Information Agency. The Primate noted that the UGCC is undergoing rapid development as an institution and the needs the Church is facing surpass its potential to respond. As an example, the Head of the Church spoke of a situation with the UGCC in Kramatorsk, located in the front-line zone. Kramatorsk was occupied by Russians, and later - retaken by the Ukrainian army. Recently, a UGCC priest at a meeting with non-governmental organizations there was asked when the UGCC will have a Catholic school in this town. "He was absolutely surprised and came to me for advice. I was also surprised because for many years I had been working to open a Catholic school in Kyiv. And it's not that simple. Meanwhile, in Kramatorsk, people want a Catholic school. Most people there do not identify themselves with the Catholic Church, but they need a Catholic school. They want an alternative upbringing of their children. For them it is a hope that eventually something will change. Now I have a problem of what to do. Of course, we must respond positively, but pragmatically. How to educate Catholic teachers in Kramatorsk so that they can implement the model of the Catholic school? Where to get the money? " asked the Head of the UGCC. 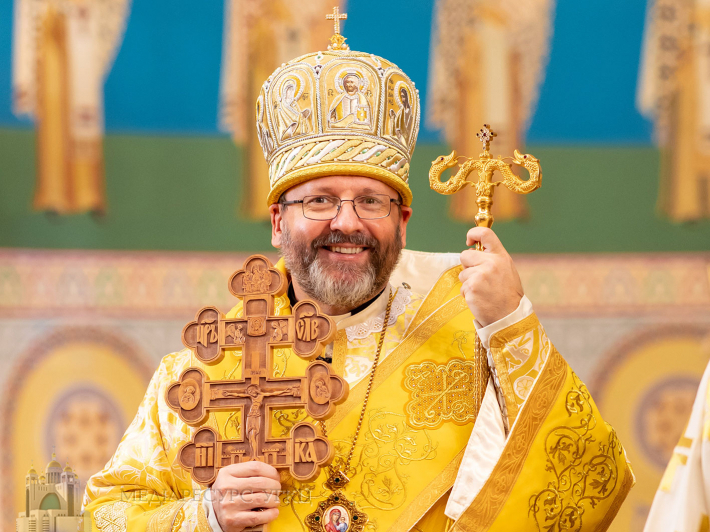 "These are examples," noted His Beatitude Sviatoslav, "how much the Greek Catholic Church is attractive to ordinary people and what their expectations are. We see that the testimony we have given there, having demonstrated solidarity and social assistance, is very important for this region. And this opens up new challenges for us. We are already beginning to feel a lack of priests, despite a high level of vocations," added the spiritual leader of Ukrainians. Speaking about the lack of clerics, the Head of the Church noted that, in particular, in the Kyiv Archeparchy, which includes five oblasts, 50 priests are currently needed. "Thus, we see here the positive "explosion" of our Church and the interest in it that grows. This is especially the case in Central and Eastern Ukraine, because in Halychyna, the Greek-Catholic Church has long proven itself well," said the Primate. According to him, the Patriarchal Curia of the UGCC in Kyiv also needs development. The demand for the presence of the UGCC is so great in various spheres of public life: at the level of social and charitable service, education and upbringing, relations with the state and other churches, etc, that this creates a situation in which the Curia must develop rapidly in order to realize these tasks.